It is mainly the views that lure nine million visitors a year to Great Smoky Mountains National Park. The problem is that on some days no one can see anything. Over the last few decades, average visibility in summer months has shrunk from 77 miles to 15, and it is not at all unusual for visitors who climb to Look Rock, high on the park's northern edge, to find themselves cocooned in a uniform, whitish haze. This haze is not to be confused with the blue mists that arise after rainstorms and give the Smokies their name. It is man-made, consisting mostly of sulfates produced by coal-fired power plants upwind of the park. One administration after another has failed to deal adequately with this problem despite Congress's express mandate more than 25 years ago to do so. Haze is not the only indignity inflicted by man and nature on Great Smoky, which straddles the Tennessee-North Carolina border and is by far the country's most heavily visited national park. Roads, trails and campsites are falling apart. The forests themselves are at the mercy of insects the government cannot be bothered to find the money to fight. The park consistently falls short of what it might be and what its loyal caretakers believe it can be. Great Smoky is not alone among the nation's national parks in its failure to meet expectations. Hardly any of the Park Service's 387 parks, historic sites and monuments are trouble-free. Joshua Tree National Park, in California, is threatened by residential development; Padre Island National Seashore and Big Thicket National Preserve, both in Texas, by oil and gas drilling. Roads and buildings in Glacier National Park are in appalling shape; Yosemite is choked with traffic. Biscayne National Park is vexed by overfishing and pollution. The backlog of deferred maintenance has budged little from the $5 billion deficit President Bush inherited; the operating budget is about two-thirds of what the parks need just to maintain the status quo. In Great Smoky, where the backlog is approaching $170 million, park managers struggle to repair trails, care for the park's vast archeological and cultural heritage — including the largest collection of log cabins in the United States — and mount a sustained counteroffensive against the beetles and other invasive species that threaten the park's hemlocks, firs, dogwoods and beech trees. There is not even enough money to educate the park's visitors on what they are seeing. Each year about two million people make a beeline for Cades Cove, a 6,800-acre valley rich in animal life and cultural history. The park has exactly 1.5 "interpretive rangers" — one full-time, one half-time — for people who seek guidance. "It's like having a great university," says Don Barger, regional director of the nonprofit National Parks Conservation Association, "and no faculty." With the peak season for park visits almost upon us, this page has begun reviewing the troubled park system, including several parks in immediate crisis as well as general problems of money and management. Mr. Bush, who made such a big deal of the parks during his presidential campaign, has not come close to delivering on his promise to clean up the maintenance backlog. But this has been a bipartisan failure not only by indifferent presidents but also a long line of irresponsible Congresses. To some extent, the problem is rooted in the expansiveness of Congress's original promises to the American people: to preserve the biological integrity of the parks while at the same time encouraging broad public access. The tension between these two objectives has existed ever since the first park was established in Yellowstone in 1872, and it has only increased as the number of park units has grown (by more than 80 in the last 25 years) and the number of visitors has approached 300 million. Nevertheless, the legislation that established the National Park Service in 1916 made clear that when a choice arises, the government must manage parks in ways that "leave them unimpaired for the enjoyment of future generations." Too often the government has erred on the side of access, at nature's expense. The most flagrant recent example has been the Bush administration's bizarre campaign to keep snowmobiles in Yellowstone, despite opposition from Park Service professionals. Far more damaging over the long haul has been Congress's unwillingness to give the parks the wherewithal they need to handle the increasing strain on their resources. Great Smoky is a classic example of the corrosive combination of Congressional neglect and wrongheaded meddling. The North Carolina half of the park falls into Charles Taylor's Congressional district. Mr. Taylor, a Republican, runs the House subcommittee that doles out money to the Park Service. But instead of rescuing Great Smoky and the rest of the system from deprivation, Mr. Taylor seems fixated on building a $500 million road along Great Smoky's southern flank that would not only worsen air pollution but also squander resources that could better be used elsewhere. If Great Smoky is the poster child for what ails the parks, Mr. Taylor is the poster child for Washington's inability to find a cure. The money we spend on the parks, about $2.4 billion a year, is one-tenth of 1 percent of the total federal budget of $2.4 trillion, not much more than a rounding error. Surely a nation as wealthy as this one can do better. These are our jewels, deserving of far more jealous safekeeping than we are giving them now. For the most part, the history of the National Park Service is a sad tale of an idealistic vision undermined by the government's neglect. Despite some bursts of growth and the public's enormous support for America's national parks, Washington has chronically failed to pay the bills. The parks' operating budgets have nearly always been too skimpy, and in recent years a substantial backlog of deferred maintenance has built up. Every now and then, a politician offers to do something about it. In 1956, President Dwight Eisenhower began a successful 10-year campaign, called Mission 66, to spend a billion dollars upgrading services and facilities. And during the 2000 campaign, George Bush promised to do away with the maintenance backlog within five years. But what this administration is likely to be remembered for is telling us how big the problem is, not solving it. To his credit, President Bush has asked the National Park Service to create a detailed inventory of the condition of such things as roads, bridges and buildings in the park system. If nothing else, this means a giant national to-do list and, perhaps, a meaningful dollar figure for what it will really cost to bring the parks back up to snuff. Right now, the best guess of the cost of all that deferred maintenance hovers somewhere between $4.1 billion and $6.8 billion. The administration says it is on track to have spent $4.9 billion on the backlog by next year. But according to the National Parks Conservation Association, an advocacy group, this administration has added only $662 million in new spending for the national parks since it took office. The rest is creative accounting. Park visitors certainly notice things like bad roads and rundown buildings, which are the results of deferred maintenance. But what this summer's tourists are also going to notice is a serious reduction in staff levels, the result of an operating budget for the park service that by some estimates is $600 million lower than it should be. The administration has proposed a very modest increase in the park service's annual budget, but most of that increase has been absorbed by rising costs, including some that stem from homeland security issues. In fact, what that new budget entails, according to the Coalition of Concerned National Park Service Retirees, is often a drop in the budget for individual parks, leading to fewer seasonal rangers and interpreters, and shorter hours for visitor centers. It's also likely to mean inadequate law enforcement and emergency services. When people talk about smaller government, they usually don't mean fewer park rangers. Most Americans know why Congress and the White House can't find the money to fix the parks: tax cuts and war, which have sharply reduced the money available for other programs. Indeed, as time has passed, Mr. Bush's language on the parks has gotten softer and softer. Once he was going to eliminate the backlog. Now, in his current budget request, he merely hopes to address it. He can address it all it wants, but it's going to take another Mission 66, a wholehearted national effort, to set the National Park Service back on the right path. In 1886, a naturalist named George Freeman Pollock paused at a promontory along what is now the Skyline Drive in Shenandoah National Park and found himself transported by a view of the Virginia countryside stretching 100 miles into the distance. "To say that I was carried away is to put it mildly," he wrote later. "I raved, I shouted." Pollock would have less to rave about today; the Industrial Revolution, then in its infancy, has since shrunk the 100-mile vistas he encountered to little more than 20 miles on an average summer day. Shenandoah is not alone. Dirty air and its consequences - haze, smog, acid rain - afflict many of our great national parks, but especially those that lie eastward and downwind of the big coal-fired power plants of the Midwest and Appalachia. Of the five most polluted parks in the country, according to a recent study by the National Parks Conservation Association, four lie east of the Mississippi: Shenandoah; Great Smoky, straddling the Tennessee-North Carolina border; Mammoth Cave in Kentucky; and Acadia in Maine. The fifth is Sequoia and Kings Canyon in California. Distance provides no protection. Acadia is fairly remote as national parks go, but last April the Environmental Protection Agency designated Acadia an ozone nonattainment area, meaning that smog levels over the course of the year exceed the agency's health standards. Meanwhile, the once reliable 100-mile views of Acadia's rugged Maine coastline have shrunk, on average, to 54 miles, and on some days to less than 20. Things got so bad that a few years ago the park, with the help of private financing, started its own shuttle bus system, partly to ease traffic but mainly to cut pollution. But Acadia, like other parks, has no control over the industrial pollution that drifts in on prevailing winds. That problem can be addressed only by national regulation, and on this score Washington has long been astonishingly negligent. Congress asked that something be done about park haze as long ago as 1977, but it was not until this year that the Bush administration - to the surprise of its critics - actually came up with a detailed strategy. But even that strategy is suspect. The plan would require companies to install new pollution controls at every plant, beginning in 2018. In the meantime, however, companies would be asked only to meet broad, industrywide targets for individual pollutants and would be allowed to use a trading system to meet those targets. That could leave some of the dirtiest plants completely undisturbed for the next 14 years. Michael Leavitt, the E.P.A. administrator, could improve the Bush administration's generally deplorable record on clean air issues if he toughened these rules so that companies are forced to clean up all their plants in a shorter time frame. That would also give future generations of visitors a fighting chance of seeing what Pollock saw. America’s confusion about the Second Amendment is now nearly total. An amendment that ensures a collective right to bear arms has been misread in one legislature after another — often in the face of strong public disapproval — as a law guaranteeing an individual’s right to carry a weapon in public. And, in a perversion of monumental proportions, the battle to extend that right has largely succeeded in co-opting the language of the Civil Rights movement, so that depriving an American of the right to carry a gun in public sounds, to some, as offensive as stripping him of the right to vote. Senator Allen’s bill is, of course, being cheered by the gun lobby, which sees it not as an assault on public safety but as a way of nationalizing the armed paranoia that the National Rifle Association and its cohorts stand for. If Americans want to feel safer in their national parks, the proper solution is to increase park funding, which has decayed steadily since the Bush administration took office. To zealots who believe that the Second Amendment trumps all others, the parks are merely another badland, like schools and church parking lots, that could be cleaned up if the carrying of private weapons were allowed. The concealed-weapon advocates are doing an excellent job of sounding terrified by “lonely wilderness trails.” But make no mistake. Senator Allen’s bill would make no one safer. It can only endanger the public. RICHMOND, Va. One of Senator George Allen's final efforts before leaving office in January is an attempt to lift the ban on carrying concealed guns into national parks. Allen, who lost to Democrat Jim Webb in this month's election, introduced the bill last week. It's unlikely that such a controversial measure would pass in the current session, with Democrats about to take over Congress in January. Allen's office declined to comment on the measure. Webb promised in a campaign letter last month to introduce similar legislation, saying he enjoys target-shooting and has had a concealed-carry permit for years. A Webb spokesman said Wednesday that the senator-elect has not studied Allen's bill. A spokesman for the National Park Service says the park service has no position on the bill. But he says that serious crimes in the parks are rare and there is no data showing a need for visitors to carry concealed firearms. Mike McHugh of Front Royal, president of the Virginia Gun Owners Coalition, said Allen's bill makes sense. He says people should be allowed to defend themselves in remote areas. Will Senator-elect Jim Webb (D) go through with his promise to introduce similar legislation, if Allen's fails? Does the gun lobby "own" Webb? Yeah, cuz you know, those animals that we see most of the time in those remote areas like deer, chipmunks, squirrels, raccoons, owls, daddy long legs, etc are just all out to get us. . If you go camping enough times you will realize that probability of encountering a bear in most of these areas is very remote. Parks with a higher risk or incidence of these possibly dangerous encounters should warn you and allow you to bring a tranquilizer gun or something that will not be fatal to these animals. Last edited by TREPYE; November 24th, 2006 at 04:55 PM. "Exposing and combatting liberal media bias"
NYTimes: Money Makes Us Safe, Not Guns? Posted by Warner Todd Huston on November 24, 2006 - 00:53. In yet another anti-gun rant, the Times has once again sounded the good liberal mantra: Got a problem? Throw money at it. Apparently, outgoing Senator George Allen (R, Vir.) has introduced one of his last bills in the waning days of the 109th sitting of the Senate, a bill allowing concealed carry of firearms inside our National Parks. - "co-opted the civil rights movement"... bet they have never said that of the Gay lobby who has made a specialty of "co-opting" civil rights rhetoric. - nationalized the "armed paranoia that the NRA" stands for... bet they have never equated the pro abortion lobby to "paranoia" when Femenazis shrilly yell that women's "rights" are being violated if they have no access to abortions. The Times also imagines that it has divined the minds of the Framers and proclaimed the 2nd Amendment a "collective right" instead of an individual's right, despite the easily proven fallacy of their claim -- which is why the law has, in the Times' words, "been misread in one legislature after another" bringing them to pass concealed carry laws. At this time 48 states have some form of allowable concealed carry law. That being the case, it's hard to believe that 98% of the country has merely fallen for "paranoia". Worse, it is curious that the New York Times seems to be so against majority Democracy. After all, when 98% of the people agree to something, wouldn't that make the Times' point of view among the smallest of minority opinions? How do they explain their way out of being so far from the mainstream position? More of their own brand of paranoia. The Times presumably feels that concealed carry laws have passed in so many -- no nearly ALL -- of the states by some conspiracy. It must be, because nearly every state has passed a concealed carry law "often in the face of strong public disapproval" in their estimation. How it is that nearly every state in the Union can so blithely ignore this "strong public disapproval" for concealed carry is not explored. Apparently the Times imagines that just saying it makes it so. Kind of like when John Kerry says he really does love the US military, despite all his actions that shouts the opposite. But the howler of the piece is the claim that throwing money at crime, as opposed to allowing citizens to protect themselves, would make us all safer in our National Parks. It is hard to type while I am laughing so hard. To zealots who believe that the Second Amendment trumps all others, the parks are merely another badland, like schools and church parking lots, that could be cleaned up if the carrying of private weapons were allowed. The concealed-weapon advocates are doing an excellent job of sounding terrified by “lonely wilderness trails.” But make no mistake. Senator Allen’s bill would make no one safer. It can only endanger the public. Being able to protect oneself makes everyone more "endangered". Is that why every stuffed shirt Democrat in Federal government and state government, along with their friends in Hollywood, have armed bodyguards? Is it because they wish to "endanger the public"? I report, you laugh until you can't breathe. A slew of comments from Mr. Huston's fans follow his text. My daughter spent two weeks in November vacationing with friends in southern Utah, mainly at Zion National Park. Part of a visit usually involves a trek up to Angel's Landing. I wasn't particularly worried about the trail route or her competence as a climber; we've been up at high places since she was a young teen, such as the Beehive and the Precipice at Acadia National Park in Maine. The helper ladder rungs, called a Via Ferrata (literally iron road), allow the trail to be classified as non-technical, meaning no ropes or special climbing equipment are needed. Angel's Landing is similarly non-technical; it's a strenuous hike to a summit about 1200 feet above the canyon floor. There are other more technically challenging (but less scary) trails in the park which require a permit, such as the top-down route to The Subway.The last 500 feet (above Scout's Lookout) are along a narrow rock fin (think '59 Cadillac) with shear dropoffs on either side. It's not for anyone who is out of shape and/or afraid of heights. And there's no margin for error. And that's where I see a problem. The trail has become popular and crowded, especially during the summer months. The park is large at over 170,000 acres, but most visitors enter at the southern entrance, conveniently serviced by the town of Springdale, into the main canyon cut by the north fork of the Virgin River. The road through the canyon is now closed to private vehicles from spring to autumn, and serviced by free shuttle buses. A great idea, but along with the museum and the wheelchair accessible Riverwalk, it might give the impression that a national park is Disneyland. But while Uncle Walt would never have allowed the pirates to keelhaul visitors, the NPS will not stop you from getting into mortal danger. A hiker died in a fall from Angel's Landing this past August. I began to look at photos and vid clips, and didn't like what I saw or read. The hike up to Scout's Lookout is on a paved trail cut into the rock, but it's a steep slog in the desert heat. People come up without any food or not enough water, not wearing the proper shoes or clothing, toddlers on backbacks. And the assist chains might give some people the impression that nothing bad can happen to them. Lastly, the trail is not a loop; the same route up and down, so people are passing each other. All you need is for someone to have a panic attack and freeze with a white knuckle grip on the chain. Because of the probable presence of idiots on the cliff, I asked her to use a short rope and carabiner to hook up to the chain if if got crowded. I got an exasperated look with an "OK pop." Stupid request really. Rick doesn’t recall Grunig being an avid hiker but mentioned she had been recently serious about getting into shape. He said Grunig went on the hike alone, adding Michael had to run some errands and made plans to meet his wife at the park afterward. It's awful what happened to this woman, but some of these trails aren't places to go to workout and get into shape. The last time I was at Zion, the kids were too young, so they stayed at Scout's Landing (that's plenty impressive) with their grandparents, while my wife, brother and I went to the top. The ledge sticks out into the main canyon, and the view is breathtaking in both directions. We did all go up to Observation Point, which is actually at a higher elevation, but the trail is less exposed. 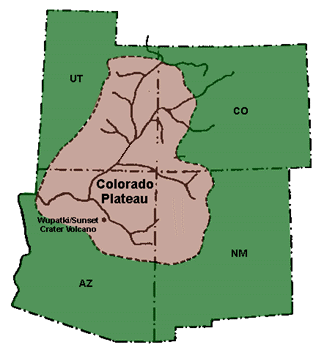 In my opinion, the Colorado Plateau has the most dramatic natural landscapes in the US, and bo accident that most of the national parks and protected areas are located here. And I much prefer Zion to the Grand Canyon. The sedimentary rock formations that stretch from Bryce Canyon south through Zion to the Grand Canyon are called the Grand Staircase It encompasses exposed rock formations spanning about 2 billion years, the oldest the floor of the Grand Canyon, and the youngest the top of Bryce Canyon. Trail up from the canyon floor. Walter's Wiggles starts at the right. Scout's Lookout. View back from the Angel's Landing rock fin. View south of Zion Canyon from Angel's Landing. View of the rock formation (dark slab center-left) from north in the canyon. Excellent resource on Zion trails, with descriptions and photos, by Joe Bauer. Check out "Photography beyond Zion" from the drop-down menu. Nice photos of the gorges in the Finger Lakes region of NYS. ^Excellent. Love Zion. Those photos are fantastic, though of course, the experience is indescribable. One reason I too prefer Zion to Grand Canyon is because much of the Grand Canyon is overcrowded, but that's also the reason I prefer the Grand Staircase - Escalante, Capitol Reef, and especially Canyonlands to Zion and Bryce. My favorite trip to Zion was in January - had the place to ourselves. The idiots are a big problem but I remember a ranger who once said most rescues are fit and experienced people who hike or climb alone. There's also a huge number of people who's 4-wheel vehicles break down in the back country. They have to somehow get back out and find someone willing to tow their vehicle, which is uber-slow going and costs lots and lots of $$$$. Then there are those who drive too close to the edge and...well...take a guess. Jesse Ventura said it best. Guy riding a snowmobile plunged through thin ice and drowned. Several legislators responded by suggesting a ban on snowmobiles. Ventura said, "We don't need a ban on snowmobiles, we need a ban on stupid people." I had a trip out to Arizona for Thanksgiving week. I spent two at a great resort in Tempe. Two nights at the Grand Canyon. One night in flag staff and two more nights back in Tempe. Good stuff. A bit heavy on the ruins and culture. I prefer nature and hiking. I did get to see lots of elk, mule deer, wild boars, and pronghorn. It's an easy trip flying in and out of Phoenix. A new bill making its way through Congress could be the first step in turning the Hudson River Valley into a national park. In March, the House approved the Hudson River Valley Special Resource Study Act, a bill that would authorize a National Park Service (NPS) study on adding a 182-mile stretch of land on both sides of the Hudson from Fort Edward in Washington County south to Westchester County. Written by Congressman Maurice Hinchey, the legislation will go for a vote before the Senate in the coming months. Artist Frederic Church's Persian-inspired house, Olana. Davidson is on the steering committee of an organization called Our Hudson Tomorrow, whose goal is to create a long-term plan for the Hudson Valley. She said she expects the group’s ongoing studies on everything from environmental conditions to agriculture and marketing would be considered should the NPS study go forward. Though support for the bill has been strong, some property rights advocates have opposed it, even though it prohibits forced acquisition of private land. In January, Carol LaGrasse, president of the Property Rights Foundation of America, testified before the Committee on Natural Resources that the region would face a significant loss of local tax revenue if the tax status of some federal, state, local, and nonprofit sites changes. Yet historic and environmental groups have applauded the measure, envisioning a more secure future for at least 25 of the 41 state parks and 14 historic sites threatened with closures due to budget cuts in the coming fiscal year. THE VANDERILT MANSION OUTSIDE HYDE PARK is already a national historic site. Mark Castiglione, acting executive director of the Hudson River Valley Greenway, which also manages the Hudson River Valley National Heritage Area, said these organizations and others would be positively affected by a National Park designation for the region. He said there would be a potential for heritage areas to gain more national funding, allowing them to develop more dynamic programming. In a release from his office, Hinchey said that his proposal would require the NPS to consider the economic impact of a national park designation in addition to its environmental impact. Sections of the park, as well as national river and recreation areas, would have to encompass non-federal lands and the NPS must collaborate with private property owners to achieve its goals. The bill also has guidelines for the NPS to consider similar national park models, including the Mississippi National River and Recreation Area, a 72-mile corridor in Minnesota that, like the Hudson River Valley, includes a range of natural, historic, and economic resources. The NPS study, which could take up to 24 months, is required before the Hudson River Valley becomes part of the national system. If the plan is found to be feasible, Hinchey said he would immediately introduce legislation necessary to make the designation. I think it deserves it. Really beautiful country out there.